You know who Trayvon is, but who am I ? Why don’t you know me? Could it be my skin color…..
You won’t recognize me. My name was Antonio West (Antonio Santiago) and I was the 13-month old child who was shot at point blank range by two black teens who were attempting to rob my mother, who was also shot. A Grand Jury of my mommy’s peers from Brunswick GA determined the teens who murdered me will not face the death penalty…too bad I was given a death sentence for being innocent and defenseless. I am one of the youngest murder victims in our great Nation’s history, but the media doesn’t care to cover the story of my tragic demise, President Obama has no children who could possibly look like me – so he doesn’t care and the media doesn’t care because my story is not interesting enough to bring them ratings so they can sell commercial time slots. There is not a white equivalent of Al Sharpton because if there was he would be declared racist, so there is no one rushing to Brunswick GA to demand justice for me. There is no White Panther party to put a bounty on the lives of those who murdered me. I have no voice, I have no representation and unlike those who shot me in the face while I sat innocently in my stroller – I no longer have my life. I’m trying to locate the author of this piece, I’ll publish the name it as soon as I get it. July’s Full Moon: The Full Buck Moon will be 100% full July 22, at 11:16 A.M. Las Vegas time. Getty Images George Zimmerman, right, with defense attorney Don West. The jury in the George Zimmerman murder case found the defendant not guilty on all charges in the death of Trayvon Martin. The all-female panel began deliberations Friday afternoon. Shortly after receiving the case jury members requested a full inventory of evidence presented during the trial, which led some to speculate the jury was preparing for a long haul. Zimmerman, a former neighborhood watch volunteer, was charged with second degree murder in the shooting death of 17-year-old Trayvon Martin on Feb. 26, 2012, in a Sanford, Fla., gated community. 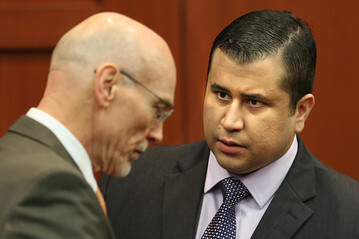 Judge Debra Nelson ruled that the jury could also convict Zimmerman of the lesser crime of manslaughter. Ballantine Books may have been put off enough by Paula Deen’s racially insensitive history to cancel the October release of her next cookbook, Paula Deen’s New Testament, despite enough receiving pre-orders to briefly make the book the bestselling item on Amazon. But the cancellation hasn’t stopped Deen’s fans (some, perhaps, brand-new converts to her cult) from snatching up copies of the Savannah chef’s other cookbooks in the wake of the scandal. Au contraire! Sales data provided to The Huffington Post by Nielsen show that sales of Deen’s recent cookbooks have exploded since the scandal. PAULA DEEN has been widely blasted for admitting she used the N-word and worse and as The ENQUIRER predicted when we broke the scandalous story, her business empire has now crumbled. But the now former Food Network star has an unlikely champion – O.J. Simpson! July 3, 2013, the new movie, The Lone Ranger, will appear in theaters across the country. The special effects film, long in making, stars Johnny Depp as “Tonto.” The constellation of irony and controversy about the film and the star is stunning, and continually growing. Perhaps the easiest solution is to recognize that the film has nothing to do with history, with Comanches, or with reality. It is a fantasy film, using some historical figures in a creative way, but having nothing to do with historical reality. The film should not be evaluated on authenticity of any kind. There isn’t any such authenticity. The Lone Ranger, a 1933 radio show, later feature a Patowatami Indian named “Tonto.” The story became a television series, and feature a Canadian Mohawk Indian by the name of Jay Silverheels. So, in this fictionalized entertainment series, Comanches never had any association. So, how is it that Comanches are now associated? The one authentic historical element employed in the film is the Texas Rangers and their attack on the Comanche Indians. The Texas Rangers were created as a state agency to protect invading settlers from the Indians of Texas–mainly the Comanche Indians. The Texas Rangers became infamous for adopting ruthless Comanche war tactics and using them against the Comanches. This was unprecedented. Now, in 2013 Lone Ranger movie, Tonto is a Comanche, but in name only. There is nothing in the character that is derives from Comanche people or Comanche ways. Especially the unique costume worn by Johnny Depp (as the Comanche “Tonto”) is utterly aberrant. But, remember, it is not intended to be authentic. It is the clear indulgence of stereotypical Indian images, all thrown together with Hollywood creativity.